Two robots that can change their shape on command have provided the most detailed look yet inside the heart of reactor number 1 at the Fukushima Daiichi nuclear power station in Japan. The reactor is one of three that suffered a core meltdown after the massive tsunami that knocked electrical systems offline at the plant in March 2011, prompting a nuclear emergency that will take decades to clean up. One of the most difficult jobs for the plant’s owner, Tokyo Electric Power Co. (TEPCO), is how to safely decommission the reactors that melted down, which are much too dangerous for humans to enter. The robots are inspecting the reactor’s primary containment vessel (PCV), a large concrete structure that sits around the reactor and most of its associated machinery and piping. Molten nuclear fuel melted through the bottom of the reactor following the tsunami and is thought to have fallen to the floor of the PCV. 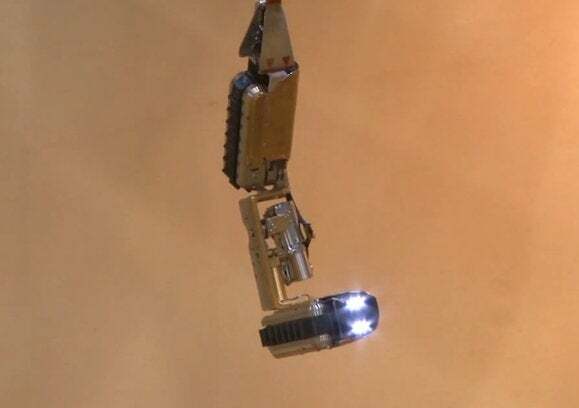 The first robot ventured in on April 10 and worked for a time before getting stuck about three quarters of the way through its mission. Three days later, TEPCO severed its cables to avoid them getting tangled with a second robot that went in on April 15. They both found an environment that remains highly radioactive, though less than expected. 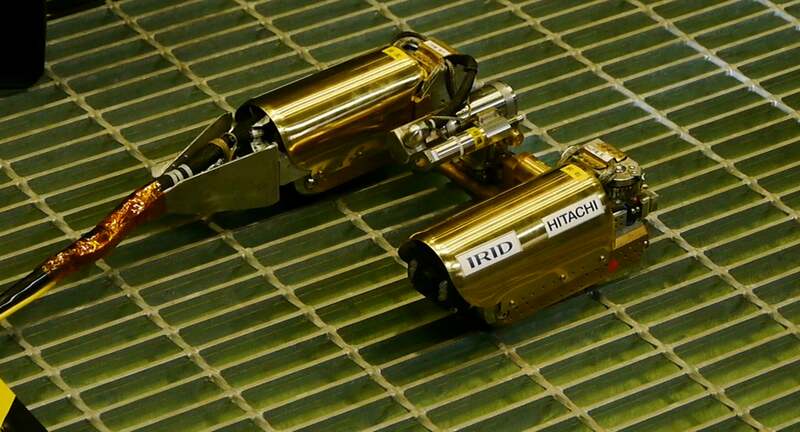 A robot developed by the International Research Institute for Nuclear Decommissioning (IRID) and Hitachi-GE Nuclear Energy rolls on the floor in a demonstration. On Friday, it began probing inside the primary containment vessel of the No. 1 reactor at Japan's crippled Fukushima Dai-ichi nuclear plant, which suffered meltdowns following the 2011 earthquake and tsunami. TEPCO says the robots recorded a radiation dose of between 5 and 10 Sieverts per hour—a tenth of what was expected—and video released by the company shows levels as high as 25 Sieverts per hour in one area. That’s more than a thousand times the radiation an average American receives in a year and enough to cause almost certain death in 10 minutes. But the robots also revealed little apparent damage and debris inside the PCV—a contrast to the post-tsunami scene outside the power station of massive destruction. That should make future robotic missions easier. The robots were made by Hitachi-GE Nuclear Energy and Japan’s International Research Institute for Nuclear Decommissioning and can change their shape from one resembling the letter “l” to one resembling the numeral “3.” Each is equipped with a thermometer, a tilting video camera, a dosimeter to gauge radiation and a laser scanner to measure distance. The next step will be to investigate the bottom of the PCV, where the nuclear fuel is thought to be sitting.